Beginning July 1, Oregonians will notice a new deduction of $1 per $1,000 from their paychecks to generate revenue for public transportation. PORTLAND — Oregonians may notice a new .001-percent deduction on their paystubs beginning July 1 that will largely go toward funding public transportation around the state. The new transit tax takes $1 from every $1,000 of earnings. The tax is projected to generate nearly $194.6 million in the first two years. About 90 percent of the revenue will go toward mass transit districts, transportation districts or counties without either mass transit or a transportation district and to federally-recognized tribes based on an allocation formula. Five percent goes to public transportation providers based on a competitive grant process. The money can be used for transit services, with the exception of light rail capital improvements. However, revenue can be used to fund a low-income light rail fare program. The tax is part of a $5.3 billion transportation package the state Legislature approved in 2017. Lawmakers excluded light rail construction from permissible uses for the revenue to avoid political opposition to the legislation. Four percent is dedicated to grants to public transportation providers to improve transit between two or more communities, and the other 1 percent funds a statewide public transportation technical resource center to assist public transportation providers in rural areas. The Oregon Transportation Commission will decide on project funding based on priorities such as improving transit to low-income households, procurement of low- or no-emission buses, reducing gaps in services, provide student transit services for grades 9-12 and other basic factors such as responsible use of public funds, said Karyn Criswell, project manager of the Statewide Transportation Improvement Fund Implementation. 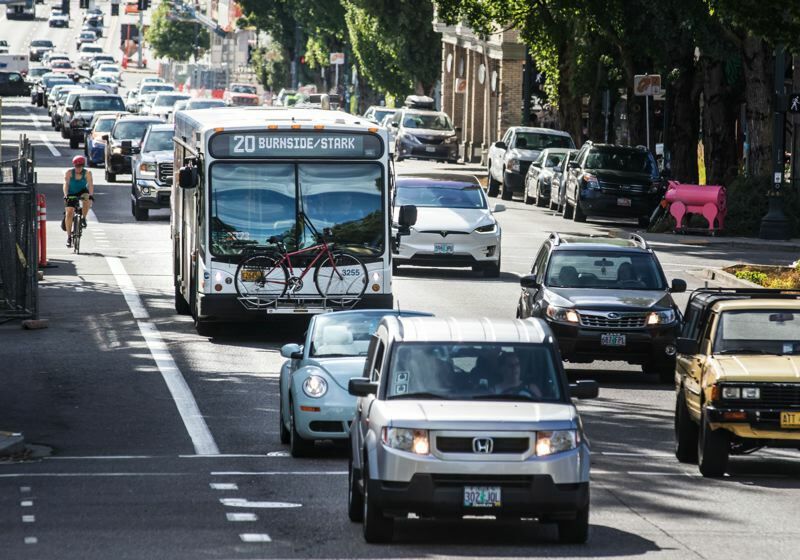 The new tax is enabling the largest expansion of bus service in TriMet history starting in September, including nearly 1,000 additional hours of bus service and 660 weekly bus trips, said Tia York a TriMet spokeswoman. TriMet will receive more than $50 million in revenue per year in the next couple of years. TriMet also plans to use revenue to expand assistance programs so that riders with income up to two times federal poverty level can access reduced fares.